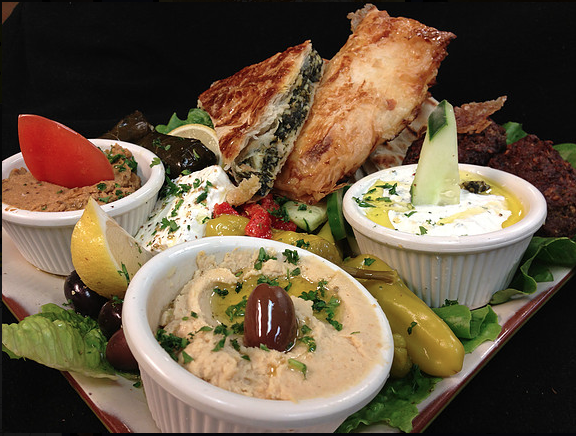 We bring together the FRESH, Authentic Flavors of Greece and the Mediterranean. Our cuisine is prepared daily using the finest and freshest ingredients we can source. casual restaurants called "Taverna" on the sun drenched islands of Greece. In Greece, meals are treasured for the time able to be spent with both friends and family. When you think of Greek Food, The 3 "F's" Will Forever Be In Your Thoughts.
. . . As is often said. . . The Olive Tree is "Real Good and Real Greek"....OPA !!! Cater your Next Special Event, Home Party, Office Party, Business Meeting or any Other Affair. 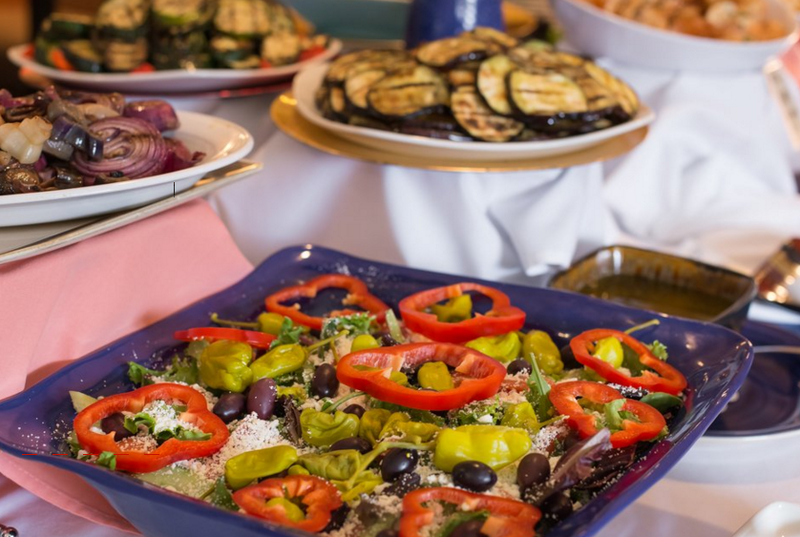 Our Delicious Greek Cuisine Offers a FRESH, TASTY, & HEALTHY Change of Pace for Any Event. Please Contact Us For a Consultation. From Fresh Salads, Grilled Pita Bread and Home Made Dips, Tasty Gyro's, Lamb, Char- Grilled Chicken, Stuffed Grape Leaves and Kalamata Olives to Handmade Greek Pastries & Cakes. THE OLIVE TREE will satisfy all of your guests. Slowly, steadily, researchers have tried to make the case that eating the Mediterranean Way will help us live longer. Now a major study on this diet has strengthened their case. Scientists at Harvard and University of Athens Medical School traced the eating habits of 22,043 GREEKS for nearly four years and found that a GREEK diet cut the risk of death from cancer and heart disease by 25% or more. GREEKS eat a lot of nuts, fruits, vegetables, legumes, cereal and EXTRA VIRGIN OLIVE OIL. Ample servings of fish, moderate levels of dairly and alcohol and some meat. All of These Items and Healthy Dietary Life Style Can Be Found at The Olive Tree.